This 140 minute APM Risk Management course is aligned to the specification of The Association for Project Management (APM Body of Knowledge V6). This course teaches you about risk management, defined as a process which enables individual risk occurrences and overall risk to be defined, understood and managed in order to facilitate success by eliminating possible threats and producing opportunities. 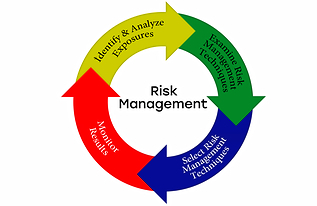 Risk Management is an essential part of project management. This course provides a structured and tested procedure for managing project risks, and is therefore essential for anyone who manages, or works with, projects. By taking this module you will gain an understanding of the risk management procedure and how to use it in your projects. By learning more about risk management your projects will be more successful and you will eliminate a lot of difficulties. The course also provides the risk management learning necessary for those working towards a professional qualification.